Careers Wales : My Future : What am I like? What do I need to know about myself? 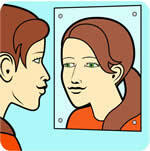 This section will help you to think about yourself and what you would like others to know about you.